Arvind Kejriwal visited several wards and asked patients and their attendants, if they were able to avail the services properly or not. Chief Minister Arvind Kejriwal on Thursday paid a surprise visit to a city-run hospital in Mangolopuri area in north Delhi and took stock of the facilities there, besides interacting with patients. During the inspection at the Sanjay Gandhi Memorial Hospital, Kejriwal, was accompanied by Delhi Health Minister Satyendar Jain and Mangolpuri MLA Rakhi Birla. The chief minister visited several wards and asked patients and their attendants, if they were able to avail the services properly or not. The chief minister in a tweet said that he found “several deficiencies” at the hospital. He directed officials to remove them while asserting that he was committed to provide best health services to the poorest. “Yehan sab theek hai (Is everything fine here),” Kejriwal asked a patient in a ward. Kejriwal moved from one ward to another, catching many doctors and officials by surprise, even as curious onlookers gathered around him, taking his pictures or approached him to share their problems. “Are you getting free medicines here or have to pay for it,” he asked another patient. He also interacted with a few women and children in wards and corridors of the 100-bed hospital, which was opened in 1986. 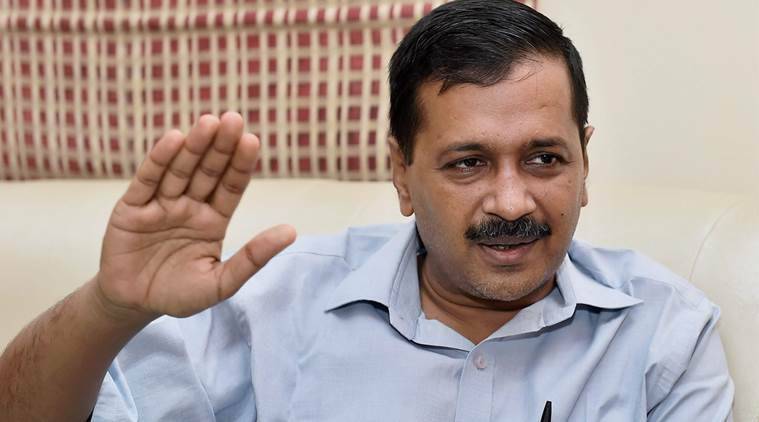 “#AAP will ensure free medicines and treatment to all people visiting government hospital without any discrimination – @ArvindKejriwal,” the party later tweeted.